Tarazod Films & Media LLC: Frozen River Film Fest to Screen Mad City Chickens! Frozen River Film Fest to Screen Mad City Chickens! 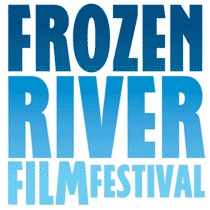 On January 28, 2012, Mad City Chickens will play at the Frozen River Film Festival in Winona, Minnesota. Two screenings: 10:00 am, 120 Science Laboratory Center, Winona State University and again at 6:00 p.m. in Miller Auditorium. MCC Heading Back to Canada!